Plain Elementary serves students from Kinder to Grade 5 in Simpsonville, SC. There are currently 898 students enrolled in this school. Plain elementary is one of the top rated schools in Greenville County having consistently achieved awards and honors through the years including Red Carpet Schools Award, for outstanding family-friendly environments; Palmetto Gold and Palmetto Silver Awards for attaining high levels of performance, high rates of growth, and substantial progress in closing achievement gaps between groups of students; Parent Involvement School of Excellence for upholding the highest standards in parent involvement; and Award of Excellence in the South Carolina/National School Public Relations Association for Excellence Program in the Internet Home Page Category. It has a GreatSchools rating of 9. Browse our extensive Plain Elementary School zoned real estate listings and find great deals and properties in Simpsonville including condos, townhomes, single-family homes, and more. By narrowing down your search, you’ll have more time to learn about those homes that fit your price range. When you find a home near Plain Elementary School that really piques your interest, just send us an email or call our buyer hotline at 864-881-1258. 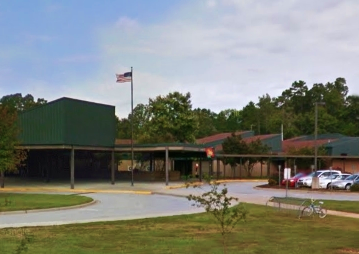 Every community or subdivision assigned to Plain Elementary School in Simpsonville, SC is unique in itself for various reasons. These subdivisions vary in price ranges, home features, and community amenities. Below you will find our list of featured neighborhoods and subdivisions in Simpsonville to help you get started in finding a home near Plain Elementary School. If you have any questions about any of these neighborhoods don’t hesitate to contact us.